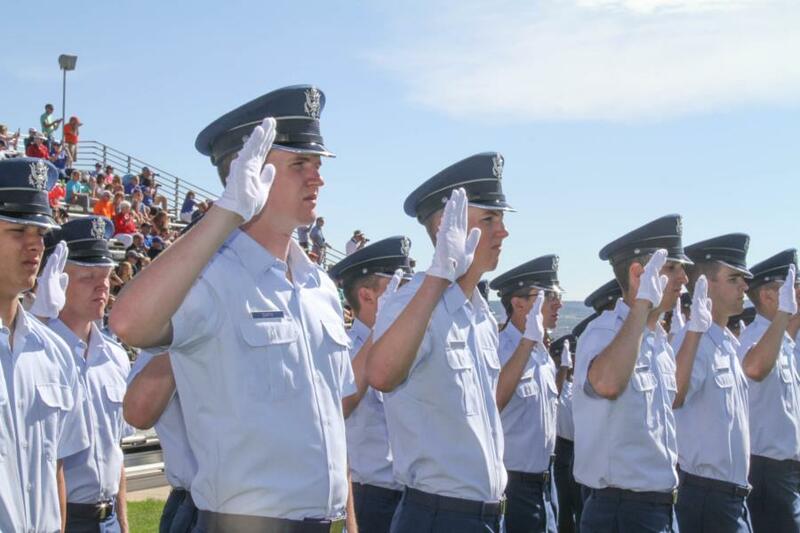 A-Day is here! 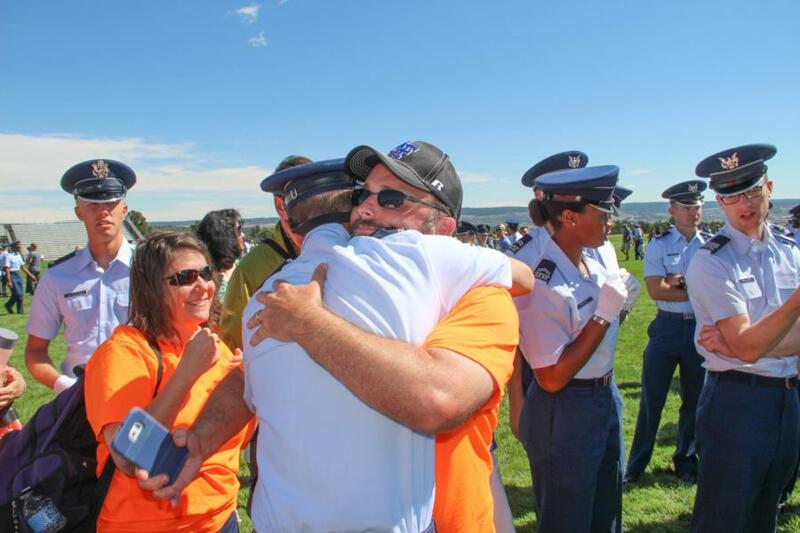 The parade began with everyone marching onto the field. 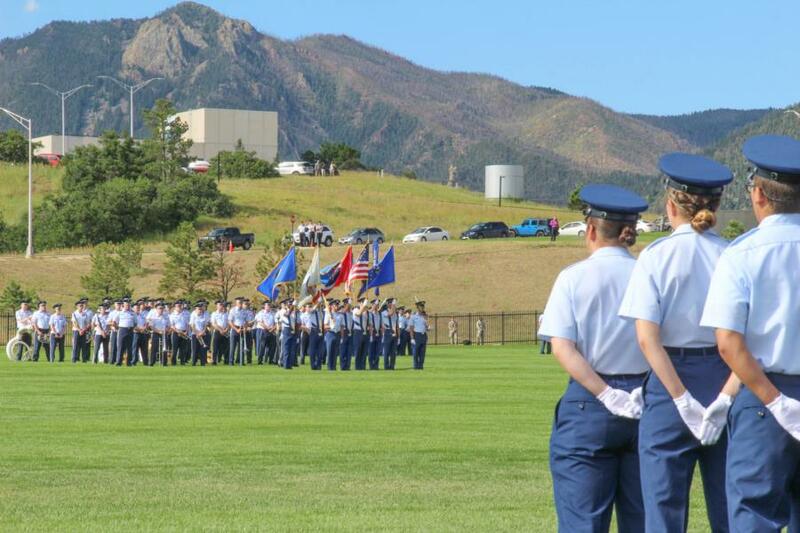 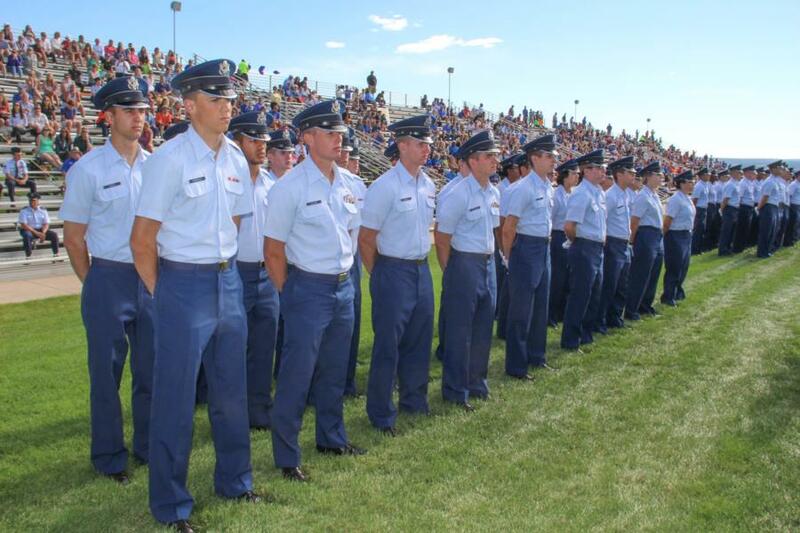 The Class of 2019 lined up along the field close to the stands, facing the Cadet Wing across the field. 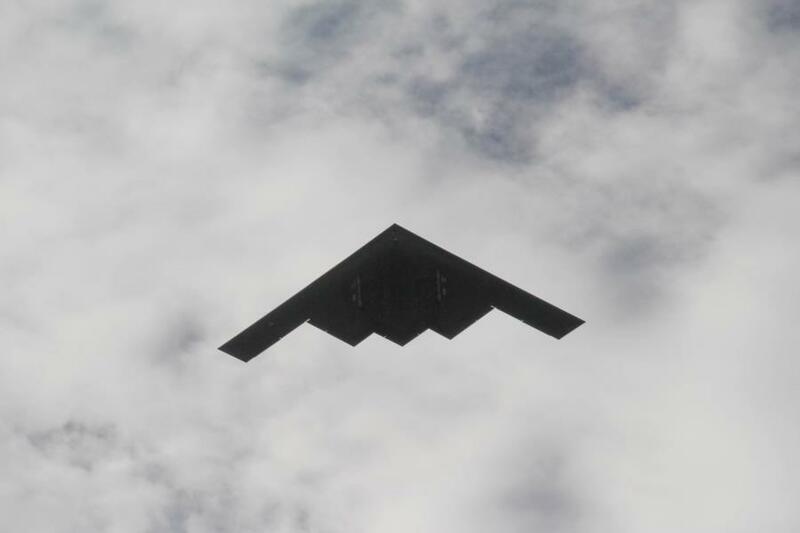 Then there was a B-2 flyby! 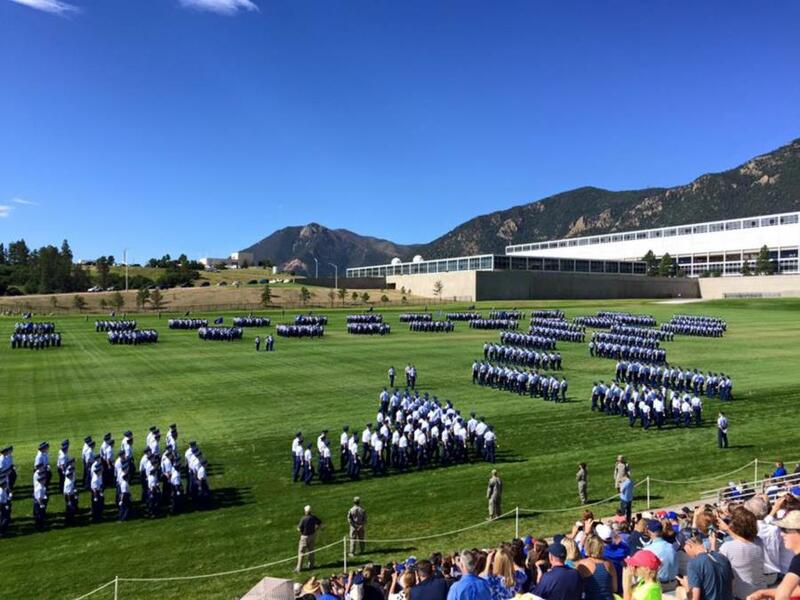 Afterwards, the Class of 2019 was accepted into the Cadet Wing! 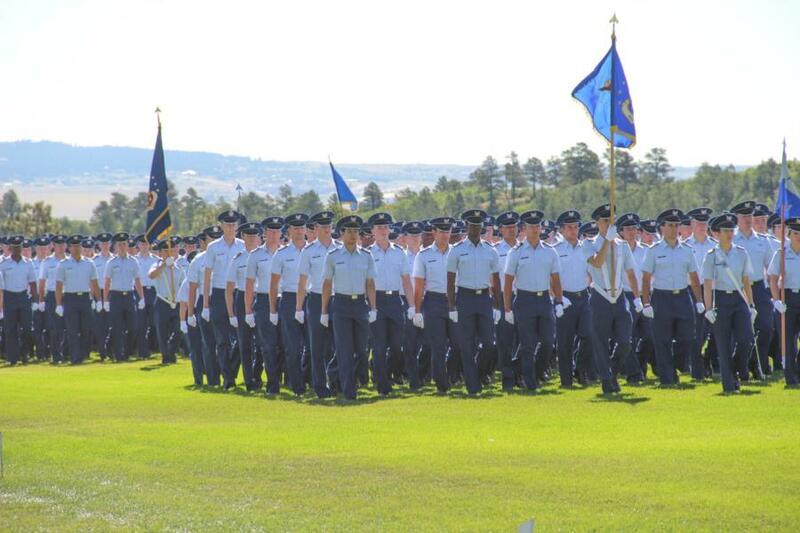 Then they joined the Cadet Wing, marching across the field in the inverted-wedge formation. 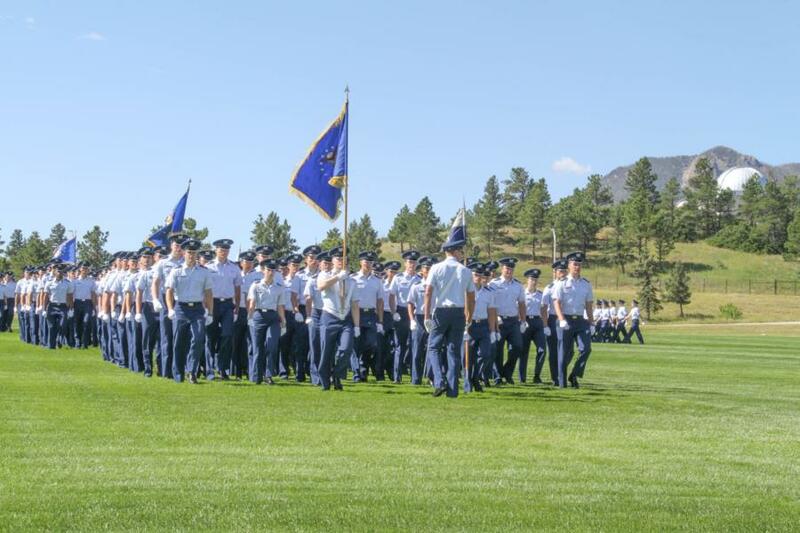 This formation is only used twice in parades - once when a new class enters the Wing, and once more when the graduating class leaves the Wing in their graduation parade. 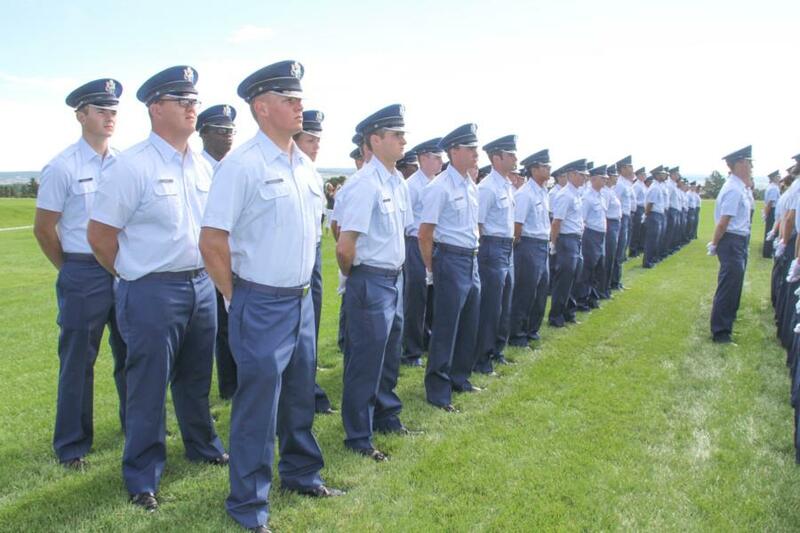 After joining their Academic Year squadrons, each squadron conducts a pass and review around the field. 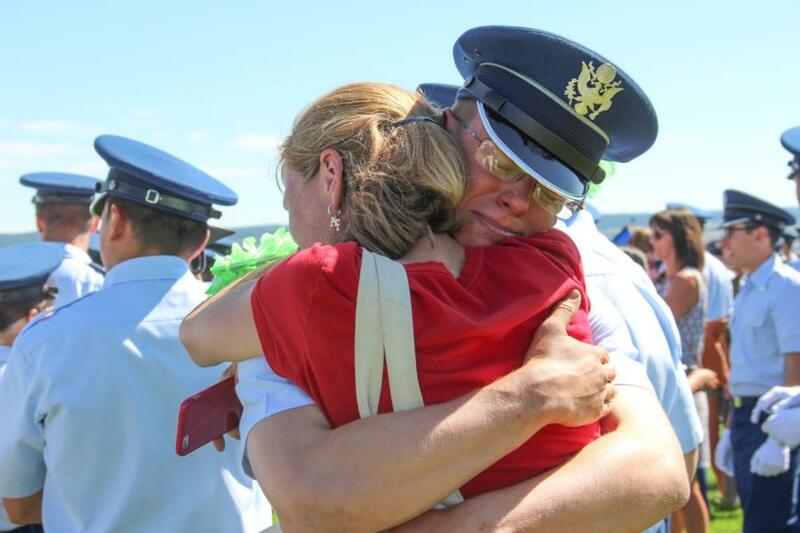 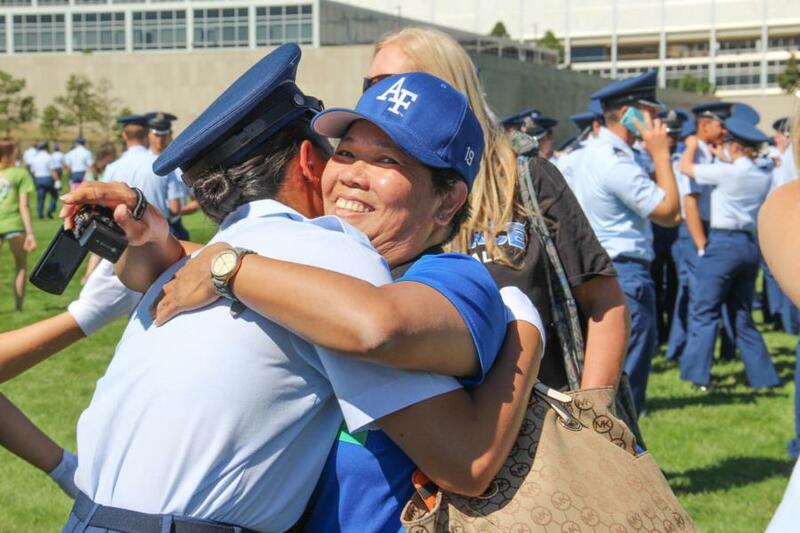 Following the conclusion of the parade, familes rushed out to the field to see their newly minted Fourth Class Cadets.